Peter represents the interests of MASA and its members at the Michigan Capitol. He comes to MASA from Michigan Independent Colleges & Universities, where he was vice president. 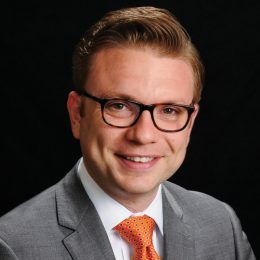 His previous experience includes serving as the legislative director for Lansing lobbying firm Acuitas, assistant director of government relations for the Michigan Association of School Boards, and associate director of the Michigan Elementary and Middle School Principals Association. He also has served on the Lansing School Board since 2011.